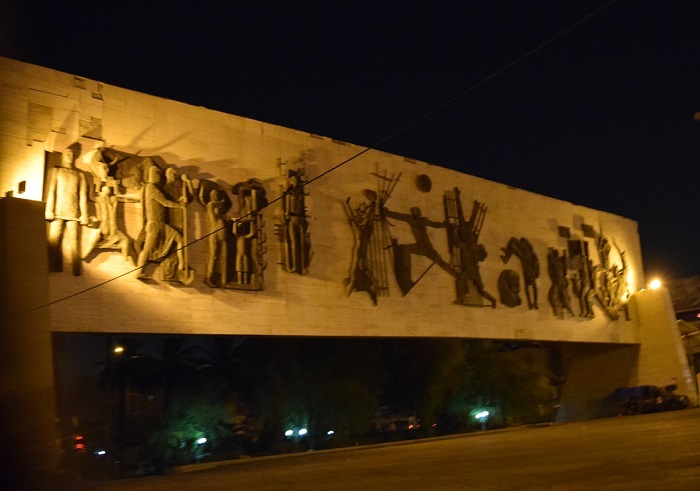 The Freedom Monument, also known as Nasb al-Hurriyah, is a well known and important monument which is located in the center of the capital city of the Republic of Iraq, Baghdad. Located more precisely on the central Liberation Square, also known as Tahrir Square, the monument began being built in 1958, right after the country gained its independence, and it was completed in 1961. 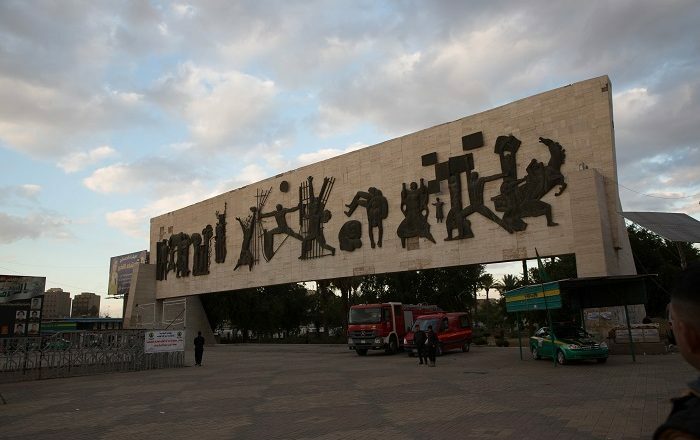 With a height of about 10 meters (33 feet), Freedom Monument is the masterpiece of the leading Iraqi sculptor, Jawad Saleem, who interestingly integrated Iraq’s ancient history with contemporary themes and techniques. Consisting of a travertine slab with 14 bronze castings, representing 25 figures, it explains the historic events of Iraq which led up to the 14 July Revolution, which in turn led to the independence of the Republic. 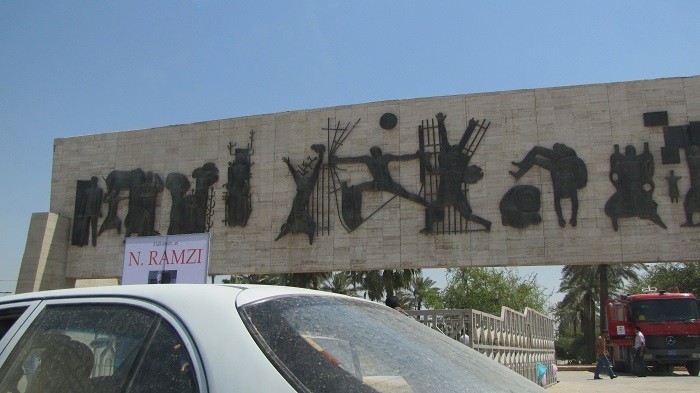 Depicting the Iraqi people who were fighting in order to achieve their wanted liberty, the monument should be read from right to left, as a verse of an Arabic poetry, which first show the events which preceded the revolution and ending with harmony following independence. Still, this interesting monument inspired other Arab artists to bring national identity in their artworks, since most of them at that time were attaining independence. All in all, one of the most impressive monument in Baghdad, the Freedom Monument is something which should not be missed while in the Iraqi capital.